California wage and hour lawyers know the damage award in this employee lawsuit is important because the airlines had fought hard to assert federal deregulation trumped state law, and that the workers wrongly filed their claims in California – knowing they favor employees compared to other states – when in reality the claims didn’t arise in California but in many other parts of the world. The court did rule that passport expenses would not be reimbursed per a San Francisco statute (they lived and trained elsewhere) but the judge denied the other claims were improperly filed, citing executives’ policy decisions made exclusively from a California headquarters – standards that were followed globally company-wide. Defendant companies – Virgin America Inc. and Alaska Airline Inc., both subsidiaries of Alaska Air Group – also lost their argument that the damages in the case were excessive, with the judge choosing to award $8 million less than plaintiffs initially sought, but nonetheless a substantial sum. According to court records in Bernstein et al. 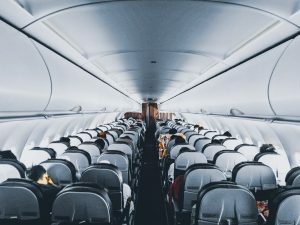 v. Virgin American Inc., the airlines didn’t pay flight attendants for the time spent prior to, after and between flights, or for the time they spent training, writing reports and going through the company’s required drug testing process. Flight attendants were also prohibited from taking rest and meal breaks – as required by state law – and some did not receive minimum wages. Wage and hour attorneys in Los Angeles know that while the airlines are likely to appeal the verdict, the case is another reminder of the fact that employers operating nationally or internationally still need to consider not only federal law but state wage and hour law when determining their policies and carrying them out in practice. This isn’t the first time an airlines has had their California wage and hour lawsuit defenses grounded. In 2017, the very same federal court awarded partial summary judgment to flight attendants in Booher v. JetBlue Airways Corp. for violations of California overtime law while the employees worked flights within the state. In that ruling, the court rejected defendant airline’s assertion of federal law preemption, noting that when out-of-state residents perform work in the state, they are afforded the same labor law protections as any Californian. Employees were reportedly ordered to report to the airport at least one hour prior to flight time to attend briefings, report to the departure gate and begin boarding. For this, as well as time spent deplaning and their ground time between flights, the flight attendants alleged they were not paid. However, in that case the airline did win on the issue of itemized wage statements because workers didn’t live in California, weren’t paid there and didn’t spend enough substantial time here for state law to qualify for that claim.